EcoTourism Belize provides rustic lodgings, nature and culture based ecotours in southern Belize. 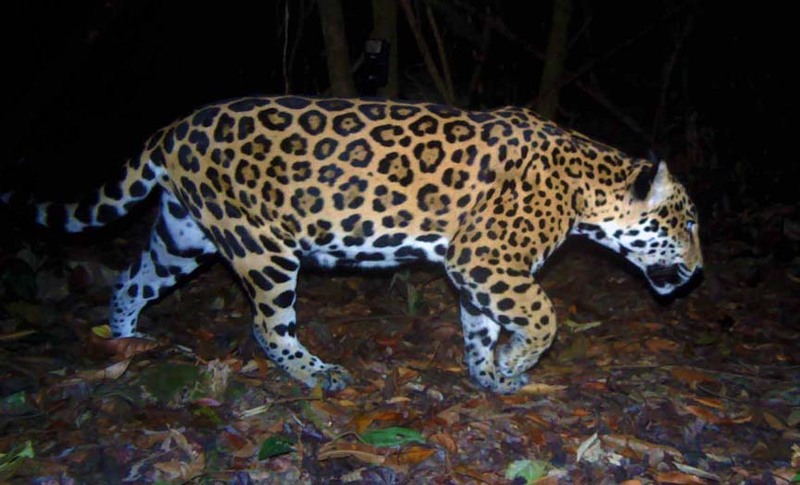 EcoTourism Belize is helping to keep wild places and wildlife amazing. Join us on an adventure into the secret world of tropical forests, rivers and reef, and immerse yourself in the culture and traditions of the Maya people. 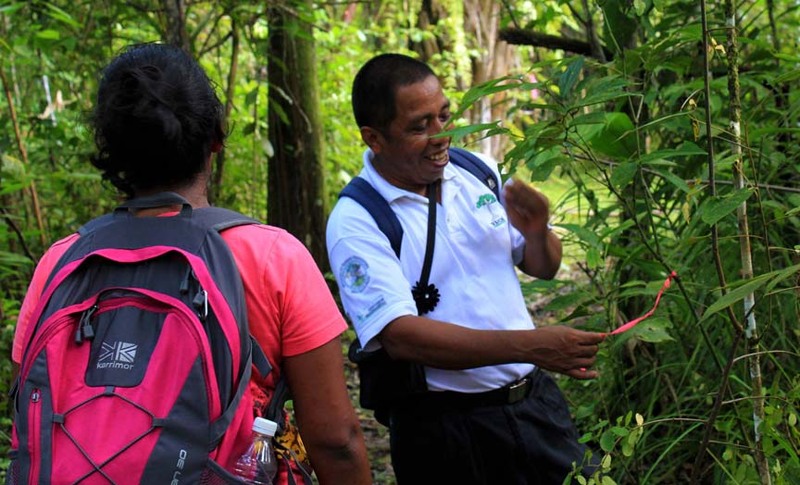 You directly support biodiversity conservation, community development and sustainable tourism in southern Belize. Join one of our popular multi day tours to soak up more culture, nature and wilderness. 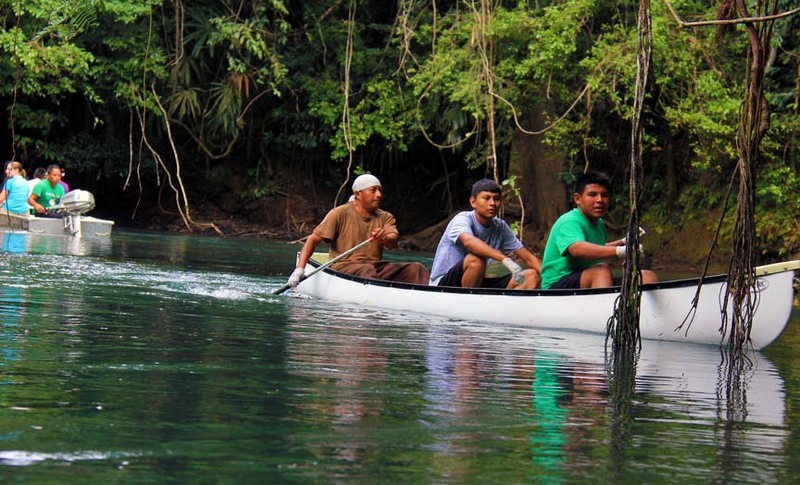 "You can also experience the Maya life for a day — because many of these types of “tours” have popped up and can sometimes feel canned, I recommend you sign up with Ya'axche Conservation Trust’s tour arm Ecotourism Belize..."
EcoTourism Belize shared a post. We excitedly join the celebration of Ya'axché Conservation Trust and the Trio Farmers Cacao Growers Association's work! The farmers have harvested 2,187 pounds of cacao, and it is just the beginning of mass production.Sixteen farmers have recently harvested 2,187 pounds of cacao beans from Belize's first agroforestry concession. Since establishing the agroforestry concession within the Maya Mountain North Forest Reserve in 2014, Ya’axché has been providing material, equipment, technical and field support to the 31-member farming group – the Trio Farmers Cacao Growers Association. This year, it is projected that the farmers will be harvesting 90,000 pounds of cacao beans from the 936-acre agroforestry concession. Additionally, we are exploring opportunities on how to add value to the cacao being harvested within the forest reserve. Meet one of our outstanding partners, Daniel Chiquin! Book an EcoFarm tour with us.MGL Farmer Daniel Chiquin has recently harvested coffee at his family farm located in Indian Creek Village. This outstanding young farmer has grasped every farming concept taught to him by Ya'axché. He harvests honey, cacao, pineapple, coffee and various fruits from his agroforestry farm. Animals such as tapirs and jaguars have been seen on his farm. A female Great CurassowLast week's #PhotoFriday clip is from a photo of a female Great Curassow (Crax rubra)! This secretive bird species feeds mostly on fruits and small invertebrates and vertebrates. It can be seen foraging on the forest floor and feeding in the canopies as well. Female Great Curassows can weigh almost 10 pounds while males over 10 pounds in weight. These large birds are classified as “Vulnerable” due to habitat loss and overhunting. The presence or absence of these birds, along with other wildlife indicators, indicate to Ya’axché whether forested areas are healthy or disturbed – since they prefer their space. We do know of some wonderful persons, including agroforestry farmers, who are reforesting and keeping areas forested for these and other wildlife within the Maya Golden Landscape. Congratulations to Jamal Andrewin Bohn who correctly guessed the Photo Friday first! Ney Carlos, Witzil Mango and Nidian Najera also got it right! Baird's tapir (Tapirus bairdii) are considered primarily nocturnal, meaning that they are active at night but can also be seen during the daytime. Here a mature tapir casually passes by our field cameras at night looking for food – leaves and fallen fruits. We believe that Belize's wild places, wildlife and people are amazing and take pride in our role of helping to keep it that way. We want to share the stunning nature and wildlife with you, immerse you in the traditions and folklore of the indigenous Maya people, and take you deep into the forests for a jungle adventure that shows you how we care for Belize's wild places. Our experiences are brought to you in partnership with Ya'axché Conservation Trust and the local Maya community that they work with. Our unique connection with Ya'axché (we are it's social enterprise business) means that 100% of our profits directly support the wildlife and wild places of southern Belize. 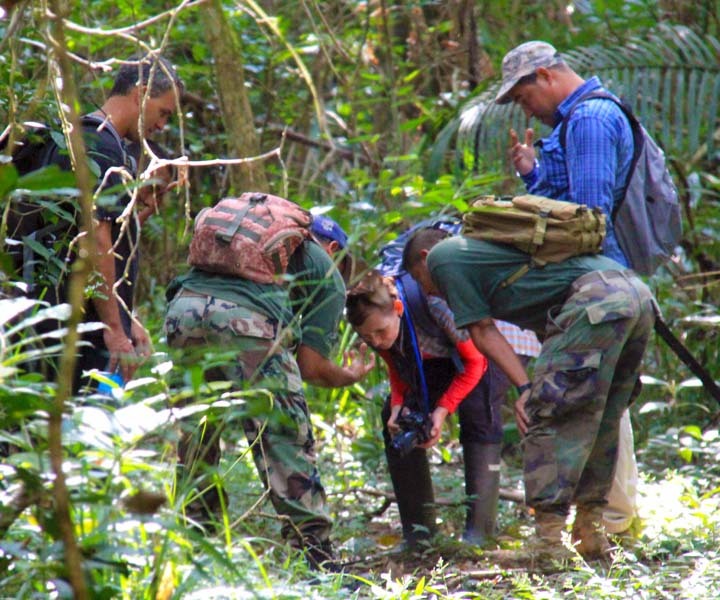 Take part in scientific wildlife monitoring, patrol for illegal activities & learn about the flora and fauna of the Golden Stream Corridor Preserve. 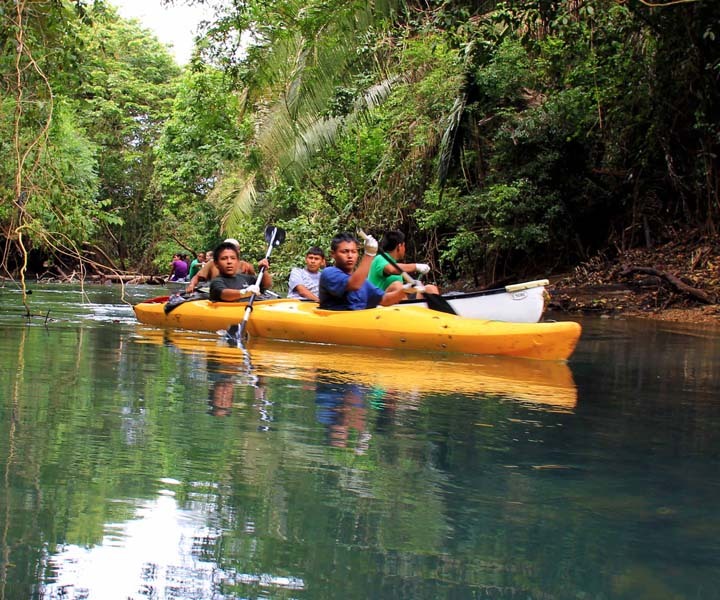 Paddle down Golden Stream on an official Ya'axché ranger patrol. Look out for kingfishers, hummingbirds and herons. 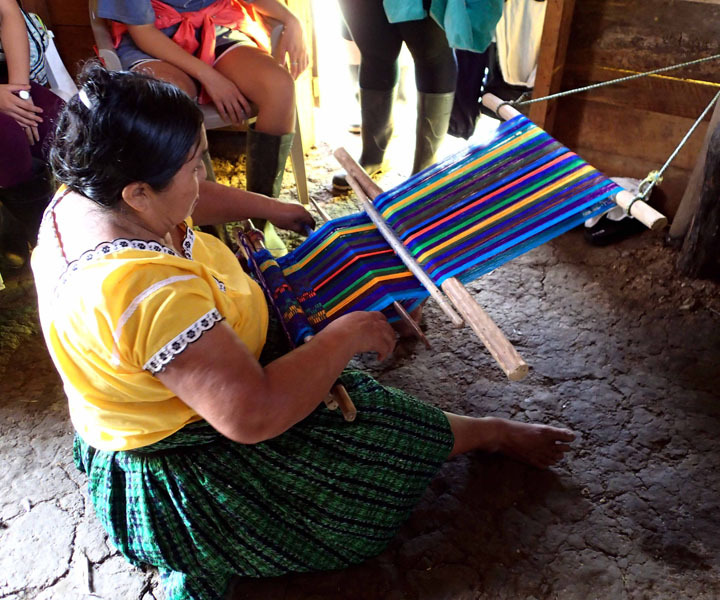 Dance, cook and create traditional arts & crafts along with a Maya family. Copyright © Ya'axché Conservation Trust.